Rick Stebbins,PT, CSCS, USAW has received his degree in Physical Therapy from the University of Connecticut in 1988. He is also a Certified Strength and Conditioning Specialist through the National Strength and Conditioning Association since 1988. He has achieved a coaching certification through the United States Weightlifting Association for teaching Olympic-style lifting techniques. He has received additional training from the Steadman Hawkins Clinic in Vail, Colorado in administering their rehabilitation protocols. 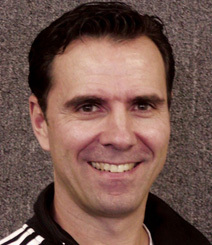 From 2003-2005, he served as the head Physical Therapist, Trainer and Strength Coach for the U.S. Men’s Indoor Field Hockey Team through the United States Olympic Committee. He has worked with many athletes at all levels and competes in Olympic Weightlifting himself. Rick has owned a Sports and Orthopedic Physical Therapy practice since 1993, and in 2010 started Rick Stebbins Performance Therapy (RSPT), a sports performance and fitness facility in Greenwich CT, dedicated to enhancing athletic development and human performance with a fully-equipped Olympic weightlifting center. Rick has developed a new method of training called “Performance Therapy” which combines his Physical Therapy, Strength and Conditioning and Olympic Weightlifting experiences to create a unique approach to optimizing human performance. In 2011, Rick started an education company providing Olympic Weightlifting, Mobility/Stability, and Strength seminars to Trainers and Healthcare Professionals. 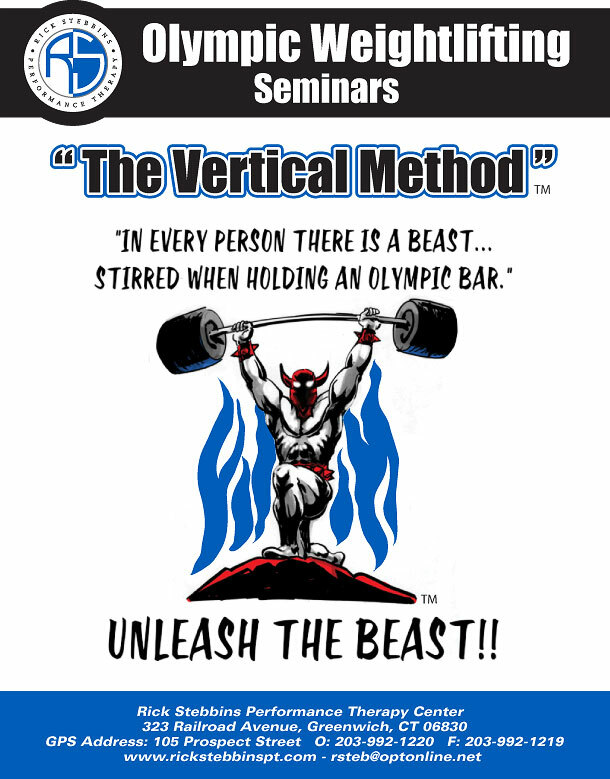 He has created a seminar and certification series called “The Vertical Method” for Olympic Weightlifting assessment and technique. Working with Ben Bergeron at CFNE for Olympic Weightlifting technique for his team athletes. Glenn Patrick, PT graduated from UCONN in 1996.